In the previous two years, U.S. homeowners completed more than 43.7 million home improvement projects. That and other data related to recent home remodeling and renovation activity are part of the responses to the 2017 American Home Survey (AHS) released last month by the Census Bureau and the Department of Housing and Urban Development. The findings include information on the most common types of projects, amount spent, use of professional services, and activity by age and income groups. 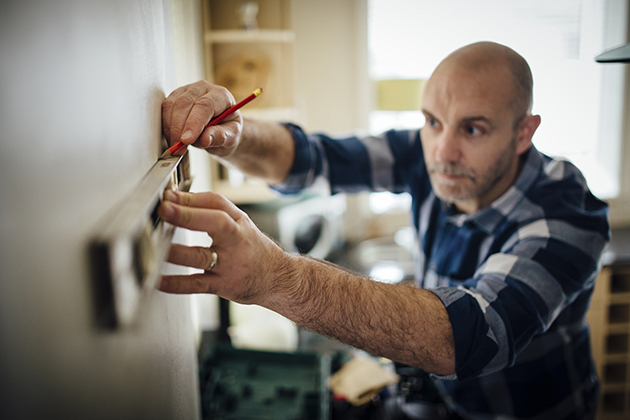 Among the highlights in the data, the findings corroborate some other recent homeowner surveys showing that bathroom remodels and renovations have begun to outpace kitchen remodels and renovations. However, bedroom additions or renovations far outnumbered both. According to the 2017 AHS estimates, during the years 2016 to 2017, homeowners undertook nearly 4.2 million bedroom additions or renovations, compared to 2.75 bathrooms additions or renovations, 1.9 million recreation room additions or renovations, and 1.6 million kitchen additions or renovations. Likewise, survey respondents reported completing 5.7 million bathroom remodels and 4.2 million kitchen remodels. In terms of expenditures, homeowners overall were willing to spend more on a recreation room or kitchen addition or renovation, at an estimated median cost of $15,000. Per household, expenditures ranged from as little as $4,000 to as much as $45,000 or more for a kitchen addition or renovation. Median cost of a bedroom addition or renovation was $7,000, for a bathroom $6,400. Homeowners spent at median $10,000 for a kitchen remodel and $5,500 for a bathroom. As one would expect, households with the highest incomes undertook more projects and spent substantially more on their projects. Nearly half of all projects were undertaken by households with annual incomes of $80,000 a year or more. Households reporting annual incomes of $120,000 or more accounted for more than one fourth (27.7 percent) of all projects. These homeowners often spent one-and-a-half to twice as much as middle-income households and four times as much as lower-income households. In total, homeowners hired a professional to help with more than a half million major additions or renovations (29 percent), and 5.3 million to assist with a bathroom or kitchen remodel (54 percent). The most common addition or renovation projects involving a professional were bedrooms (34 percent) and bathrooms (30 percent). Use of a professional for a bathroom or kitchen remodel was split nearly 50-50, with bathrooms slightly more frequent. Upper-income households were twice to four times as likely to hire a professional as were middle- or lower-income households. Across the board, households in the 45- to 64-year-old age range reported the most projects, accounting for more than 45 percent of all projects. They also were most likely (48 percent) to undertake a project for the purpose of preparing their home for sale. Among respondents who had made modifications to improve accessibility for a disabled or elderly resident, the majority (53 percent) were households in the 55- to 74-year-old age range. Although the survey reports on activity completed some time ago, the findings are more or less in line with those of more recent homeowner surveys, but of much smaller samples. They provide remodelers and designers with useful insights into where the demand is in the market and who their clients are most likely to be.